If you think that you can never be totally angelic while you are still living and breathing, you are undoubtedly right. Living as one who is free from the cares of the world does not mean neglecting the duties of this life. John got the crazy idea that he could live as an angel and informed his brother and went off to follow that path. The idea failed! He returned and wanted back in immediately. The brother was not so anxious to receive him, because he knew the concept of being angelic came from his own ego and not from God. We should be ever aware that we all have feet of clay who are put on this earth as stewards of God’s gifts, and we should never take it upon ourselves to be more that God has created us to be. Work, our work, God’s work is our responsibility. Not one among us can say that we have never dreamed ourselves out of the toil of human existence but we are awakened soon to the world in which we live. We, like John, need to experience, that awakening and ask for forgiveness when we come to such a crossroad of life. Heavenly bliss is saved for heaven. Lord help me to keep my focus on you while I toil though the tasks of this life. Keep me free from the temptation of the evil that leads to rejection of your plan for me. Cover my sins with your grace and fill my heart with the joy that comes from knowing you. Once upon a time long ago a young man decided to become a saint. He left his home, family, and possessions and journeyed into the hot sands of the desert where he eventually found a dark cave. He thought, “I can find God here. I will be alone and nothing will disturb me.” He prayed day and night in the cave, but God sent him many temptations. He imagined all the good things in life and wanted them desperately, but he was determined to give up everything and be with God alone. 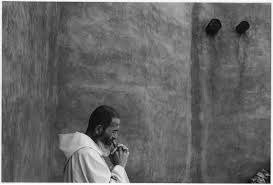 After many months, the temptations stopped and the young man was alone with God. Then one day God called to him, “Leave your cave and go to a distant town. Look for the local shoemaker. 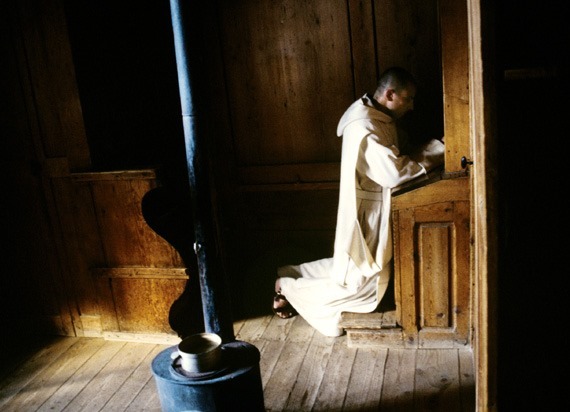 Knock on his door and stay with his family for a few days.” The holy hermit was puzzled by God’s request, but nonetheless left the next morning. He walked across the desert sands and by nightfall had reached the village. He found a small house, knocked on the door and was greeted with a smile and a welcome. The hermit inquired if the man was the local shoemaker. Hearing that he was, the hermit was pleased, but the shoemaker, seeing that the hermit was tired and hungry invited him in to stay. The hermit was given a hearty meal and a clean place to sleep. 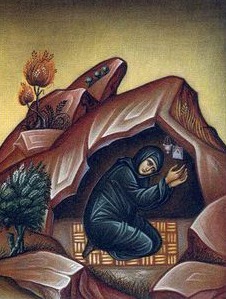 The hermit stayed with the shoemaker and his family for three days. The two men talked quite a bit and the hermit learned much about the shoemaker, but he revealed little about himself, even though the family was quite curious about him. We all look toward the gate of deliverance. Our lives are full of turmoil and confusion. We find hard to believe that all of our sufferings are really God’s way of making us ready. All of us would prefer a life that is absent of pain, guilt, stress and those unrestrained emotions that cause us to lay awake night after night. God seems to put us on a “spiritual fitness” routine to prepare us for our ultimate destination. We must understand the evil that is around us before we can see the ultimate good of God. That understanding make us aware that God’s grace is our only hope. I don’t exactly know why, but a few years ago I felt a real spiritual unction to study Christian Mysticism. My first thought was to look at the experiences of the monks of the desert. These Desert Fathers fled to the parched lands of Egypt to escape the “one size fits all” Christianity of Constantine’s Empire. The Abbas of the desert wanted to experience God as they thought He wanted to be experienced. That experience would not come as a result of legislated belief at the point of the sword of a Roman Legion. That kind of belief was no belief at all, for such a faith had to be discovered within their own souls. They could experience God in a mysterious way in their desert monasteries, and then direct others by sharing these experiences. God is a mystery, and He is best seen in a mystical way. In the desert they would find the Spirit that had apparently left the organized church, and indeed, they did. They were the first mystics. Many factors prohibited this mystical movement from being the major driving force of the church. All throughout history there have been famous mystics. Notable ones are, Julian of Norwich, John of the Cross, Teresa of Avila, Bernard of Clairvaux, and Ignatius of Loyola. I wanted to learn as much from them as I could, but in the middle of that experience something happened to my own way of thinking. Suddenly, the idea of certainty of belief was replaced with a deep, abiding appreciation for the mysterious nature of God. After all belief in God is mystery, not certainty, and can best be understood through the eyes of the mystic. I don’t claim to be a Christian mystic at the level of the people I have mentioned, but I do contend that thinking as a mystic can open new panoramas of faith. These panoramas can lead to a much broader view of the work of God, and a more intimate involvement with Him. Things like meditation, Lectio Divina, silence, and icons have taken on a new meaning in my life. They have become invitations to spiritual portals that I never knew existed. My journey into mysticism has not so much brought me closer to God, as it has helped me to understand how far I have to go. Jubilantly, I can say that I am not alone on the journey. He is with me! The mystical, monastic journey brought me to the desert of my soul, and there I found the face of God. I continue to travel through that desert with the traveling companions I have discovered. Thanks for reading this story and the other stories that I have written about these mystics who have become my friends. 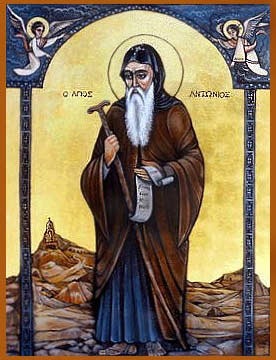 The Desert Fathers were a movement of men (and some women) who chose to flee from all distractions of life by seeking the barrenness of the desert. These men lived in a time that they thought that life in the world was so complicated that only by retreat could they experience the fullness of God’s presence. In this setting they could deal with self and only self. 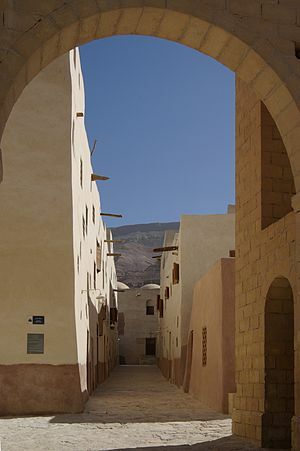 The photo in this post is of a present day desert monastery in Egypt. It was in this type of setting that the early fathers sought oneness with God. I will begin to post some of the “sayings” of these holy men in this blog. I will share my thoughts on what we can learn from these men and invite you to do the same. Are any of us patient and dedicated enough to devote three years to what would seem an impossible task? My first answer would be-no. The journey that God has given me in New Orleans has given me cause to rethink that answer. Arriving shortly after the city had received its devastating blow, it was evident that growth would be slow, patience would be required and most of all deep commitment would be necessary. In our fast pace, instant world Abba John teaches a great lesson. Do you allow God to work in His time or do you insist that He work in yours? “I do not know.” These are the four most difficult words to say in our society. Admitting these words has been difficult for people since the beginning. We are created with a “must know” nature. All men run from mystery, and yet God is a mystery. He calls us to believe what we have not seen. We are led to serve without knowing the results of our service. Be attentive to the voice of the Spirit that calls us to action, even to the things that remain mystery to us.